The Tianlongshan Caves Project builds on the previous Xiantangshan Caves project. 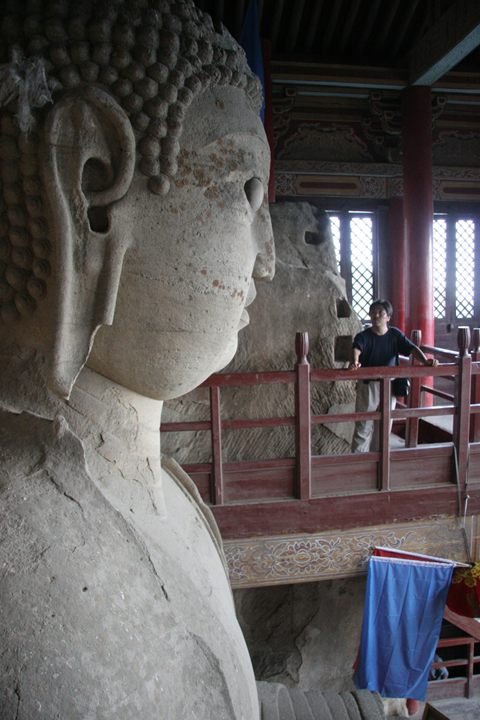 It is an international collaborative research project focused on a group of Buddhist cave shrines from the sixth to eighth centuries in northern China. Severely damaged in the early twentieth century when the fine sculptures were taken and sold in the art market, today the caves and their former contents and religious significance cannot be understood without an effort to reconstruct them (see, https://tls.uchicago.edu). The Project is working toward restoration of the caves through digital imaging of the site and and the sculptures . It is planning a large-scale exhibition based on digital installations.